Old classic videogames may not be as fun as when they first came out, given the advancements that have been made in all those years, but what can really be exciting is that rush of nostalgia as we experience the games we once fervently played as kids. 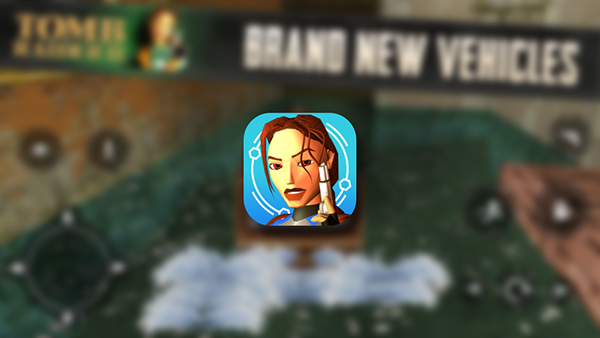 Enter – Tomb Raider II for iPhone and iPad, where you can once more gawk at the 90’s Lara Croft and understand just how far she has actually come by now. The game was an epic hit back in its time; the movies, and the subsequent titles released over the years are a testament to that achievement. 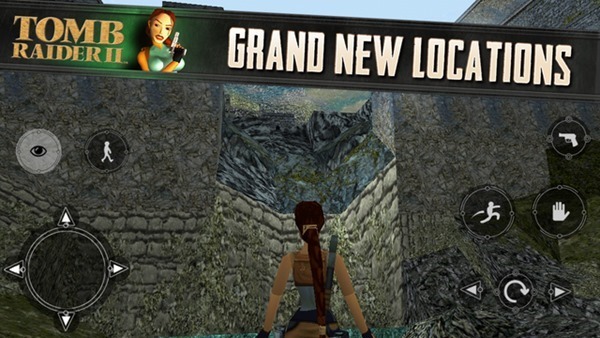 Where the very first Tomb Raider game was released for iOS last year, Tomb Raider II, as per Square Enix – the makers – has been optimized for the iPhone 5s, 6 and the 6 Plus. "Warrior Monks and crazed cult members plot against you as you travel from the remote mountain peaks of Tibet, the canals of Venice and to the bottom of the sea" says Square Enix, so users will be getting the true Tomb Raider II experience that they might remember from back in the day. The interface has all the required controls laid onto the screen, complete with the directional keypad, shoot, jump, quick turn, weapon change, walk mode buttons and more. There’s a chance that Croft may feel a bit cramped with all those on-screen controls on the 4-inch iPhone 5, 5c and 5s, but that all comes down to how large your thumbs are, really. 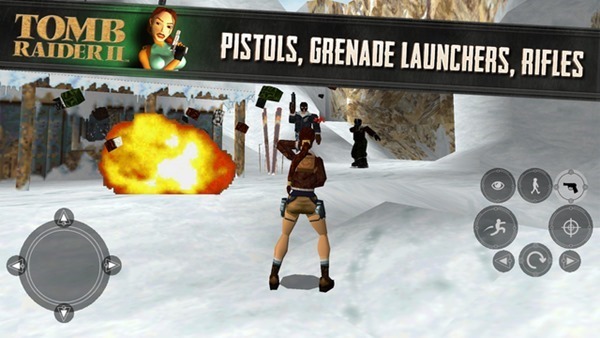 The game comes complete with all the arsenal you would expect from a Tomb Raider title; automatic pistols, grenade launcher, M16 rifle and much more. Lara Croft can also take control of vehicles such as quad bikes and motorboats as well to travel around, because after playing some of the latest Tomb Raider titles, you wouldn’t want to watch her walking in this game anyways. Also included is ‘The Golden Mask’ expansion pack, and coming in at 300MB, you can be sure it’s just like how you remember it the last time you played it on your videogame console. 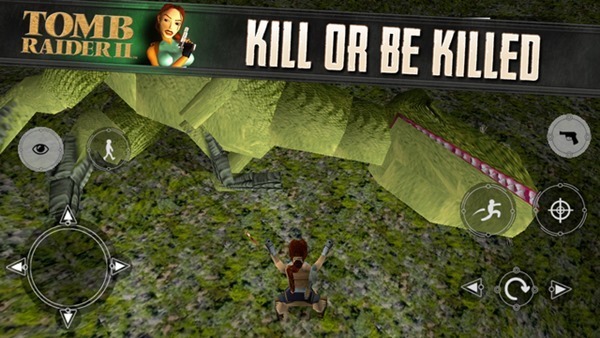 Tomb Raider can be downloaded from the App Store for a mere $1.99S.